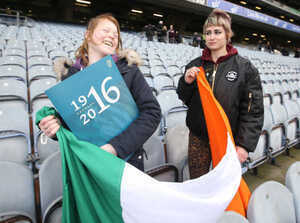 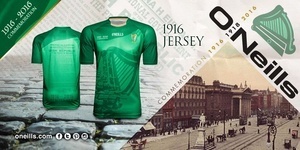 The 1916 Leaders Project was commissioned for the Irish Independent by designer Joe Coyle in late summer 2015. 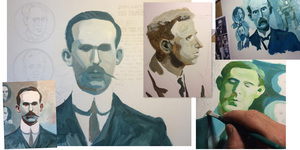 The ten paintings featured as covers for a series of special supplements, edited by Ger Siggins for the Independent, leading up to the centenary of the 1916 Easter Rising. 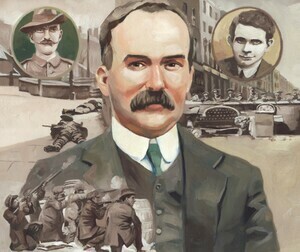 Each painting depicts a key player, surrounded by other people and events of significance in the Easter rebellion, its preparation and its momentous consequences. 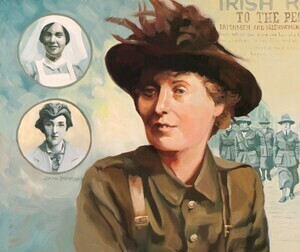 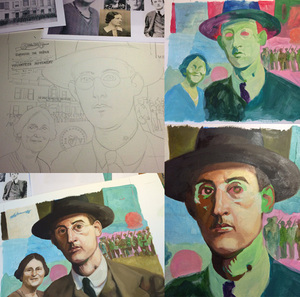 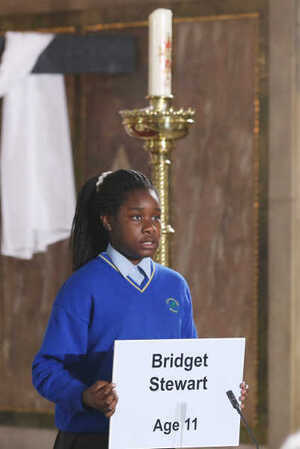 The paintings are a uniform size at 360 x 305mm, and will form part of the Irish Independent’s major exhibition in Talbot Street, Dublin, to commemorate the centenary of the rising. 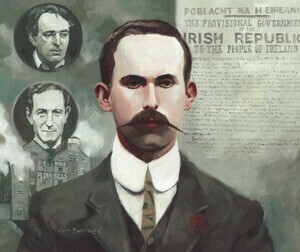 And available to buy as prints (at link below). 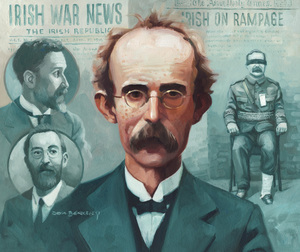 Posted in Misc and tagged 1916, Easter Rising at 2:11 pm on March 14, 2016 by Broadsheet. 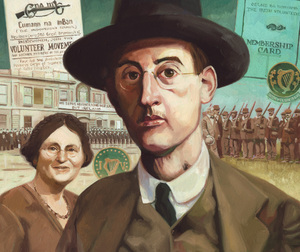 Joseph Plunkett looks a lot like Eoin O Broin who looks a bit like Himler.